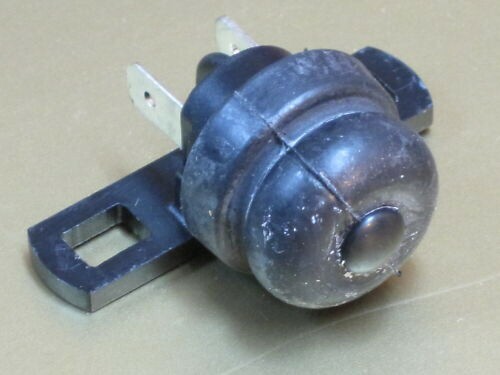 The common replacement for the original CEV brake light switch is a plastic bodied piece with a brass plunger. It fits perfectly. 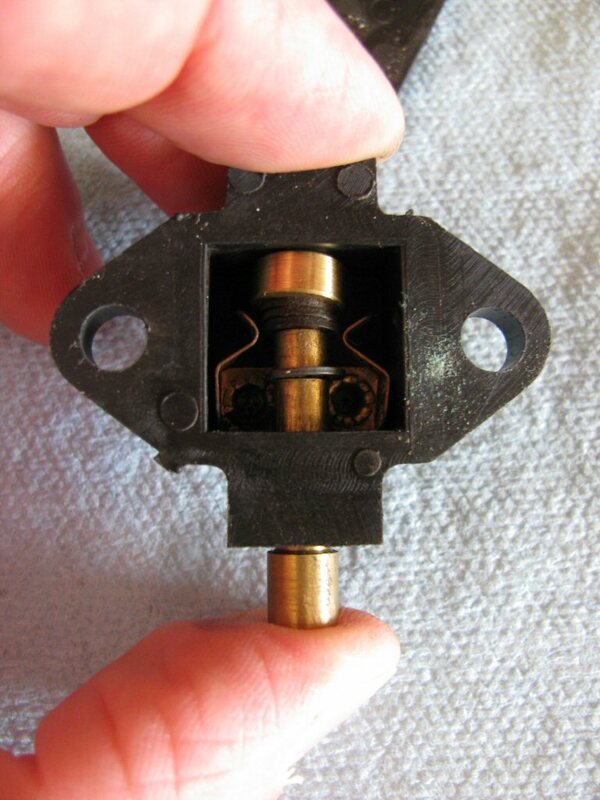 Unlike the original, however, the brass plunger will short the circuit directly to ground through the actuating lever. This blows the fuse and it can be quite difficult to identify the cause of the short. A very poor design. Plunger depressed, rear brake not actuated. Plunger released, rear brake actuated. Therefore, the brass plunger must be insulated prior to installation. I've found that the cap from a Bic Ultra Round Stic Grip pen fits perfectly. With a little dab of silicon, it'll stay in place and function perfectly for years. Insulating the plunger with a cap from a ball point pen. 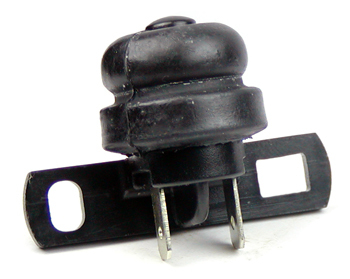 A tire valve stem cap makes a pretty easy and effective isolator cap for the tip of the brake light switch plunger. Might require a little trimming to allow full travel of the plunger, but otherwise it works well. 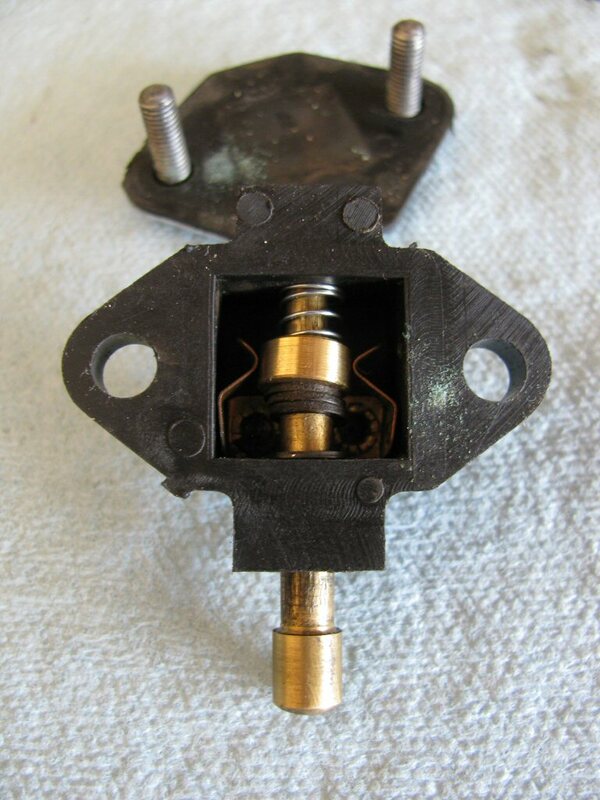 The 73 Eldo ( Al's Eldo ) that I recently worked on had a rear brake light switch that I couldn't identify. 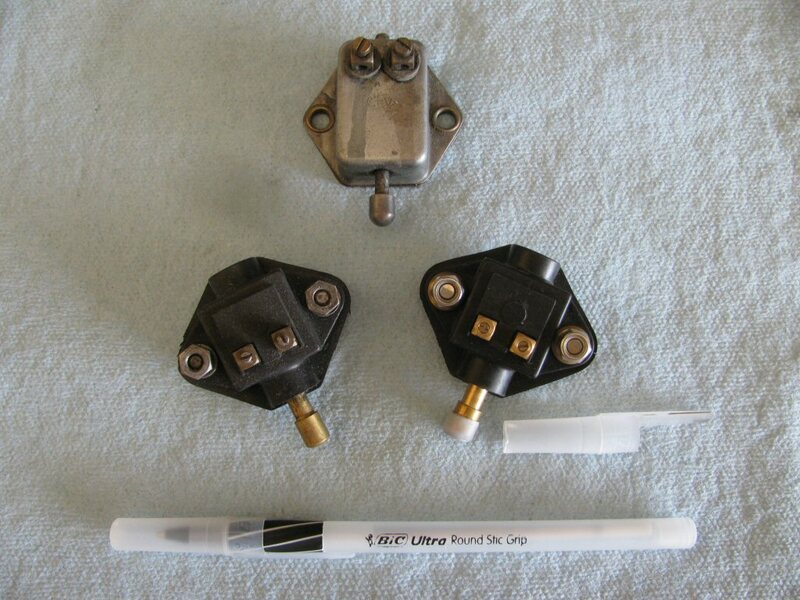 Now I see what it was from: Stop lamp switch for all Norton Commandos, Triumph and BSA triples and Triumph 750 twins. Exact replica of Lucas part number 34815. It mounted up using the stock holes and had spade terminals instead of those aggravating little screw terminals of the o.e. part. At USD $7.50 it's cheaper as well. 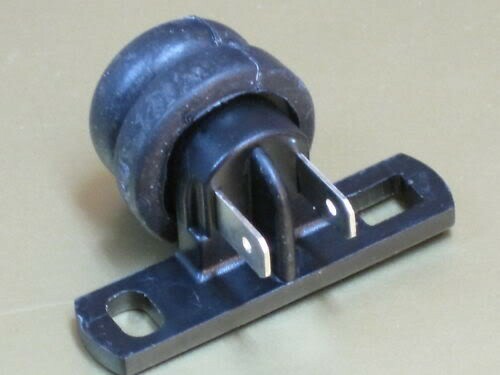 Replacement rear brake light switch. Lucas part number 34815. Photo courtesy of Domi Racer. Photo courtesy of Steadfast Cycles. 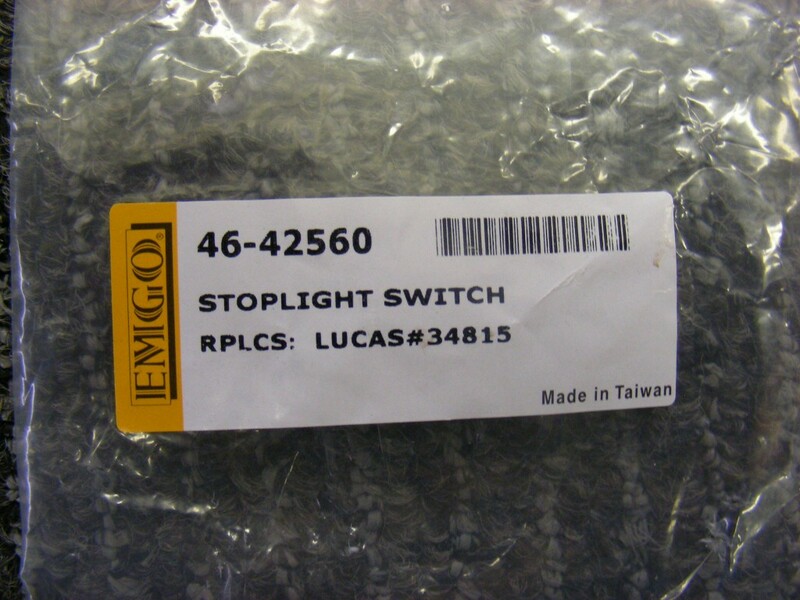 Thanks to Paul Hanks for sending me the Emgo part number for this switch. Replacement rear brake light switch. Emgo part number 46-42560. Photo courtesy of Paul Hanks. Since Domi Racer is no longer in business, Michael Mehall sent me a couple of links where this switch might be purchased.